Today’s world is rife with multi-tasking and competing demands for our attention. Parents often feel stressed, rushed and pressed for time, especially when both Mom and Dad work long hours at the same time juggling family commitments. Home life is also constantly evolving. In the Philippines, multiple generations living under one roof is nothing new—single adult kids stay with elderly parents, or grandparents cohabit with nuclear families. But these days, more and more families are opting not to have live-in 24/7 household help, thus altering the role each family member takes on in the household. Single-parent households are on the rise as well. While some benefit from the support system of extended families, many single moms or dads have to work extra hard and rely on ingenuity to provide a safe, secure and ideal environment for their children. Despite all these, family life has never been stronger, thanks to the emergence of a new wave of smart appliances that help alleviate family-centric stress points. These modern machines have been designed to improve human relationships, promote togetherness within the family and give parents peace of mind by changing the way we cook, store food, clean and do chores. Convenient and time-saving, these smart appliances help bridge the distance between family members, recreating a more immersive home-life experience. Cognizant of the shifting dynamics within the home, LG Electronics has come up with an extensive range of market-leading products that are efficient, energizing and user-friendly. Whether you’re part of a nuclear household or an extended family, or a single parent, you’ll appreciate the fine intricacies of these tech-equipped kitchen and laundry appliances. The washing machine has always been a game changer in the modern household. The advent of an automated machine in the ‘30s significantly changed women’s lives by alleviating the fatigue of handwashing and allowing them more time for their families. These days, the washer takes efficiency one step further. 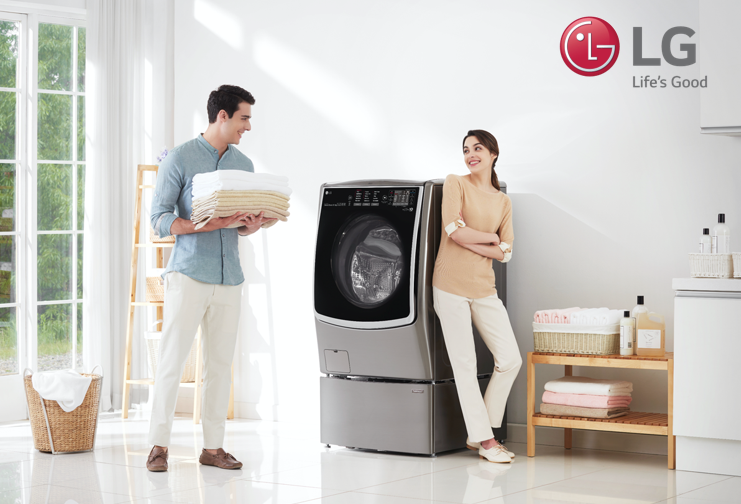 LG's TWINWash Washing Machine is a laundry system that pairs a regular front-load washer with a second, smaller washer below. Created to transform the tedium of clothes washing into something more labor-saving, TWINWash allows you to run simultaneous cleaning cycles on two units—you can have regular items on top and delicate items below or colored pieces in the bigger washer and whites in the smaller one. The TWINWash’s double-duty capacity assures that parents—or grandparents—spend less time doing laundry and more valuable quality time enjoying a movie or playing board games with the family on a Sunday afternoon. LG also celebrates modern family life with state-of-the-art refrigerators that are smart, functional, and efficient. The InstaView Door-In-Door Refrigerator, in particular, is a revelation. This high-performing appliance has a glass panel that becomes transparent when you knock on it twice, allowing you to look inside the refrigerator without opening the door. This means you could check in on frequently accessed items easily without opening the entire door and letting precious cold air escape. This also means that anyone in the family can quickly assess which snacks need to be replenished before going for a grocery run. 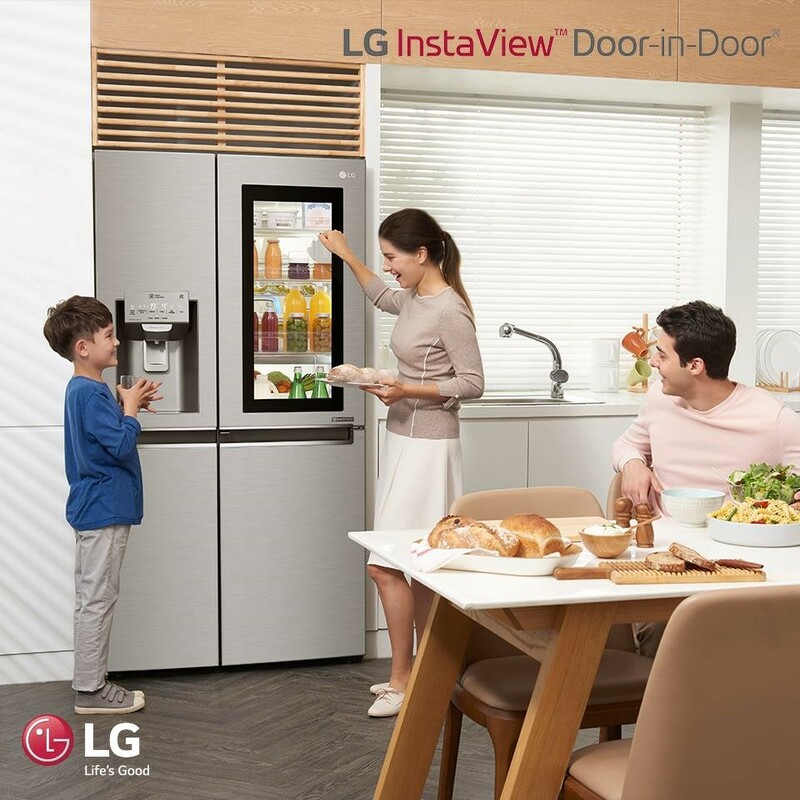 The InstaView Door-In-Door refrigerator also comes with features that ensure a healthier family outlook—a five-step Hygiene Fresh air filter removes bacteria and eradicates odors, while a FreshBalancer feature keeps produce at optimal temperatures for maximum freshness. 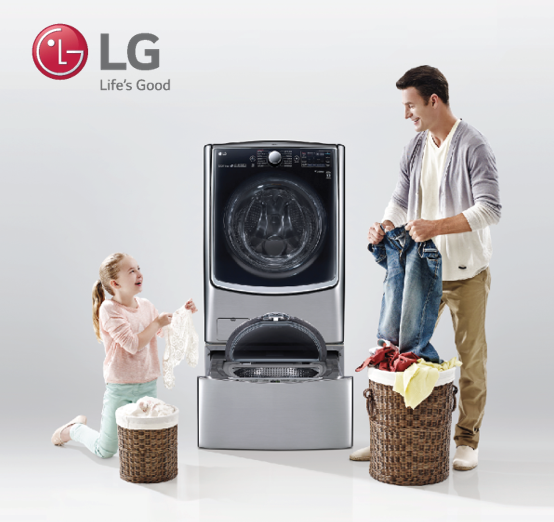 LG’s innovative technology provides convenient recommendations and reminders that help break down the barriers within a family. Ultimately, the adoption of smart appliances—from intelligent kitchen appliances to time-saving laundry products to immersive home theater systems—allows us to re-examine the very idea of home and family, leading to the indulgence of much-deserved quality time. The LG Electronics Home Appliance & Air Solution Company is a global leader in home appliances, smart home solutions, air quality systems as well as futuristic products featuring artificial intelligence. The company creates total solutions for the home with its industry-leading core technologies, and is committed to making life better for consumers around the world by developing thoughtfully designed kitchen appliances, living appliances and air solution products. Together these products deliver enhanced convenience, superb performance, efficient operation and compelling health benefits. For more details on how LG products can help improve your life, visit lg.com/ph, like @LGPhilippines on Facebook, and follow @LGPhilippines on Instagram.